Home Online How do Fashion Designers from the #MENA thrive with social media? March 7, 2012 Online, Social Media	Comments Off on How do Fashion Designers from the #MENA thrive with social media? Social media today needs a team to work on; a group of people need to stay alert and up to date with everything. And so like any industry, the fashion industry has its qualified people to enhance their work. And while designers work hard on their collection, PR managers and social media consultants double their hard work to represent these designers with a clear professional image. And so some people wonder how often designers and PR’s provide updates to their fans. ‘The updates on social media are made in a timely manner whenever there are interesting & significant news related to my brands, since the key messages relayed should be relevant to the readers and expressed in a concise way to attract their attention,’ Moussa said. We are all aware of how much exposure social media brings to all kinds of industries, and the huge impact it gives brands. But the important point to be taken into consideration is: Dsid social media enhance the work and marketing of the income? 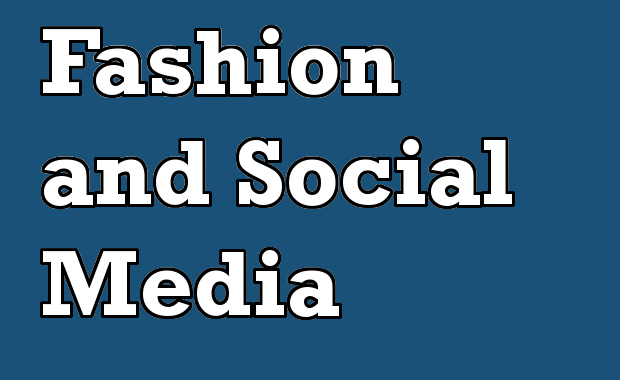 ‘Nowadays social media represents a leading reference for fashion lovers & clientele, which makes it a must strategy to be used for designers & fashion brands. As such, the impact is certainly powerful & significant especially that the marketing budget spent in social media is very minimal with the highest exposure ratio vs. other marketing tools,’ Moussa explained. Moreover, some say it all depends on timing; it’s a solid factor that determines what is to be classified as a success or failure. And so we wonder how marketing consultants and PR managers describe when social media fails them, or is incapable to put their work in progress. And this is a matter of personal opinion or how people might view this phenomenon. And so Rita believes that due to saturation of news on social media and heavy competition as it’s an accessible tool for all types & ranges of businesses, a disadvantage may arise since the attention and focus of readers are lost within all the bombarding messages they are exposed to. Which is why it’s imperative to work on three components: What? When? And where? Upon using any type of social media to guarantee a life-time success. ‘I perceive social media as double-edged sword, as it can be very tricky if it’s not used smartly. On one hand, it certainly made the task easier when it comes to guarantying a wide brand exposure with relatively no budget, but on the other hand, it made it also very challenging due to the high competition that is still arising by the day. Therefore whenever I communicate on any social media tool, I work on finding an appealing edge to create a differentiation factor from other brands,’ Moussa concluded.